Aishwarya Rai Bachchan is very excited about her comeback film Jazbaa, which is all set to hit theaters on October 9th. For the promotion purpose she appeared on comedy stage of Kapil sharma's comedy night & she revealed that she actually rejected Aamir Khan starrer Raja Hindustani because she wanted to concentrate on studies! Aishwarya said that "At that time, I wanted to concentrate and complete my education. So, I turned it down. Later, I became Miss World and then entered films." Later she did a Cola commercial opposite PK star at that time. 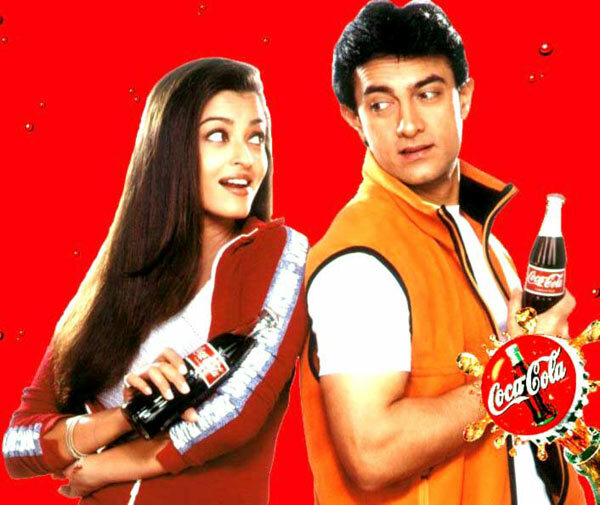 Aishwarya Rai Bachan was a model then and hadn’t debuted in Bollywood when she did the cola ad. This year, speculations were rife that the two stars will be sharing screen space in Karan Johar’s dream project Shuddhi but unfortunately that couldn’t happen.